If you die, you destroy an entire universe! Aside from voxel sandbox games, Flappy Bird clones and "gritty" first person shooters with muscular male protagonists, the new "it" genre everybody's talking about is the cooperative starship simulator. Ok, maybe it's not as mainstream as we'd like, but the idea is certainly catching on. Pulsar: Lost Colony is the latest addition to the budding sub-genre, and the developers have some great ideas at a rolling boil. Each voyage you undertake in Pulsar hands you your own randomly generated galaxy to explore. Somewhere in this galaxy is the Lost Colony, and you're going to find it come hell or high water. Or space-related disaster stuff. Your crew consists of five unique roles, each of which can (and should!) be occupied by a real life human being. Pilots get the ship moving, engineers make sure it stays moving, scientists handle all the tech/medical things, weapons officers get to hold the laser guns, and the captain coordinates the whole thing. But wait! There's a catch! The premise sounds a lot like Artemis Bridge Simulator, but Pulsar ups the ante with a little thing called permadeath. If your crew perishes, your mission is over, no backsies. Not only that, but the galaxy you were exploring is destroyed. Pretty harsh penalty for accidentally opening the airlock. 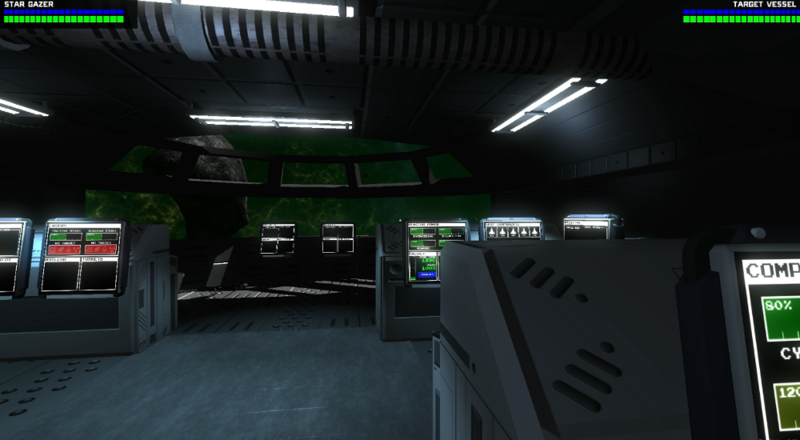 Pulsar is available to buy, but it's currently in early alpha, so expect some bumps in the road. It supports five player co-op with a local single player mode that uses bots as your crew. Definitely one of those games you'll want living humans working with you.